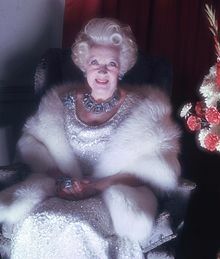 Dame Mary Barbara Hamilton Cartland DBE CStJ (9 July 1901 – 21 May 2000) was an English writer, and one of the most successful authors of romance novels of all time, specialising in historical love themes. Barbara Cartland, witch and hag. Too much make-up, fascist bag. This page was last edited on 14 July 2018, at 13:28.